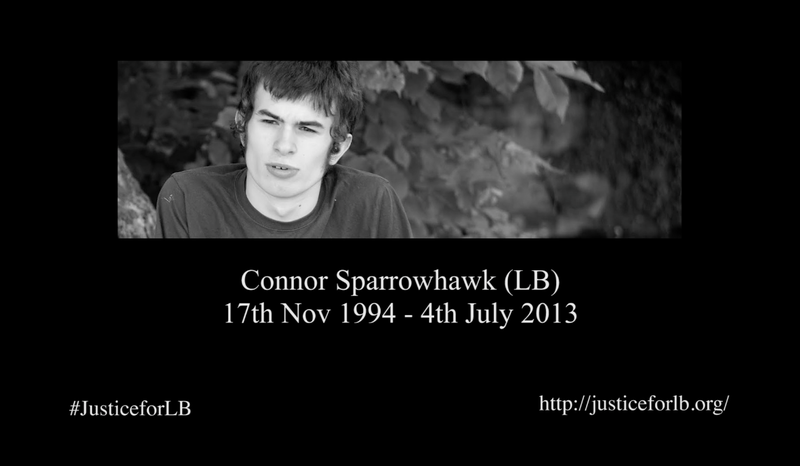 This entry was tagged #deathbyindifference, 107days, 107days of action, connor, connor sparrowhawk, death, disability, disabled, dreams, family, friends, imagined future, justice, Justice for LB, justiceforLB, laughing boy, learning disability, learning disabled, My Life My Choice, Oxford Digital Media, The Tale of Laughing Boy, Who was Laughing Boy?, who was LB. Bookmark the permalink. As always you are in my thoughts. Reaching for the stars that you seek Sara, and working towards and looking forward to a time when we live in a truly inclusive society is our collective responsibility to LB and all the dudes everywhere. Keep fighting – someone has to break through. Things need to change. everyone has to be safe in any health trust/care provision setting or none of us are. A duty of care means acting to prevent harm when the risk of drowning,choking,going malnourished , thirsty or being in uncontrolled pain is a known potential outcome without intervention. Accountability for a preventable death is a duty. Connor’s death is a total tragedy and no one can be sure another young man/woman isn’t at risk this evening through the same shameful standard of care. Sorrowful and joyful film, just willing someone besides Norman Lamb to champion. This is so powerful and the film needs to be watched by as many people as possible. We hosted the justice quilt at Newman University before Christmas and asked George if she could do a blog on our vulnerability 360 site. We know how busy she and you all are but could we replicate this blog on the site with a bit of context instead of a new blog? We are getting quite a lot of followers internationally and lots of students follow. Please can you let me know what you thinks ASAP ? Thank you. This will change lives. Respect and love to you all.